My next half marathon is coming up October 27, 2012 in Healdsburg, CA. Actually I’m running from Guyserville to Healdsburg. My training has started up again, looking forward to the long runs. I started looking at my mileage for this summer and for some reason I’ve been lazy. Ya know between work, Ally playing softball, and just summer in general it seems running took a back seat in June. John and I are making this a belated anniversary trip, birthday trip, etc. Looking forward to 5 days in the wine country. Now that school has started I will be back in a routine, everyone here will, and things will get back on track. 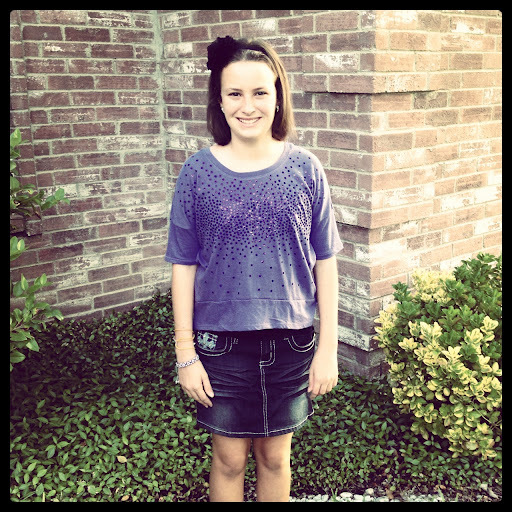 Here’s a picture of my sweet girl’s 1st day of 5th grade.